Chris has been studying martial arts since 1986. In his youth he studied karate, judo, kendo and Yang Tai chi chuan. In May of 1999 Chris began training in Daito-ryu Aikijujutsu at John Goss sensei's Maryland Study Group. He has attended every US seminar by Kondo Katsuyuki sensei since 1999 and has trained with Kondo sensei three times in Japan. Chris also has been training in Kashima Shinden Jikishinkage-ryu Kenjutsu with David Hall sensei since 2004. 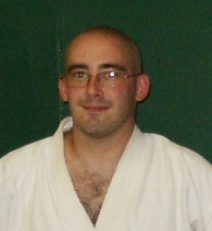 Chris currently holds the rank of nidan in Daito-ryu and shomokuroku in Jikishinkage-ryu. Brian began studying Martial Arts, an American Kempo Karate style, in 1988. In the 1990s, Brian added Arnis and Jeet Kun Do to his studies. In July of 1999, Brian’s formal study in these arts was brought to a close and he began training in Daito-ryu Aikijujutsu at John Goss sensei's Maryland Study Group. He has attended every US seminar by Kondo Katsuyuki sensei since 1999 and has trained with Kondo sensei three times in Japan. Brian also has been training in Kashima Shinden Jikishinkage-ryu Kenjutsu with David Hall sensei since 2004. 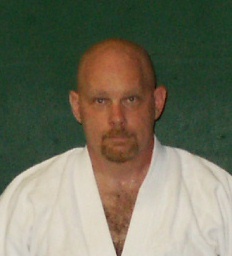 Brian currently holds the rank of nidan in Daito-ryu and shomokuroku in Jikishinkage-ryu.